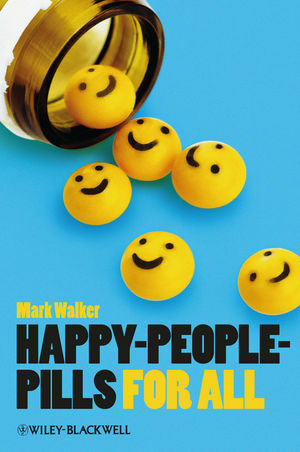 Happy-People-Pills for All explores current theories of happiness while demonstrating the need to develop advanced pharmacological agents for the enhancement of our capacity for happiness and wellbeing. Mark Walker is Assistant Professor of Philosophy at New Mexico State University, where he occupies the Richard L. Hedden Endowed Chair in Advanced Philosophical Studies. Dr. Walker also serves on the Editorial Board of the Journal of Evolution and Technology and on the Board of Directors of the Institute for Ethics and Emerging Technologies.